Position a rack in the center of the oven and preheat the oven to 350 degrees F. Lightly butter a 9 inch round cake pan and line the bottom with parchment or waxed paper; butter the paper. Put the cake pan in a shallow roasting pan and set aside until needed. Put the chopped chocolate in a medium bowl and keep close at hand. 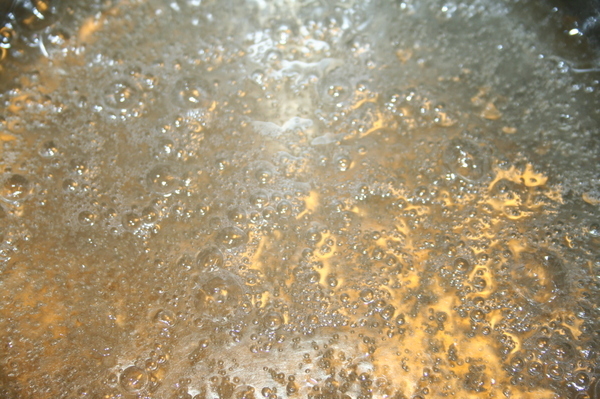 and cook over medium heat, stirring occasionally, until the sugar dissolves and the mixture comes to a full boil. Immediately pour the hot syrup over the chocolate and stir with a rubber spatula until the chocolate is completely melted and the mixture is smooth. 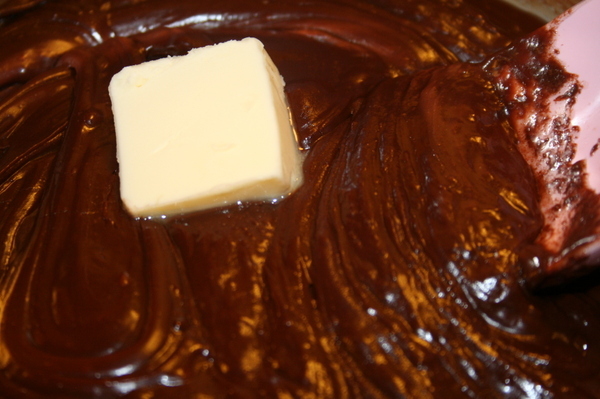 Piece by piece, stir the butter into the chocolate mixture. 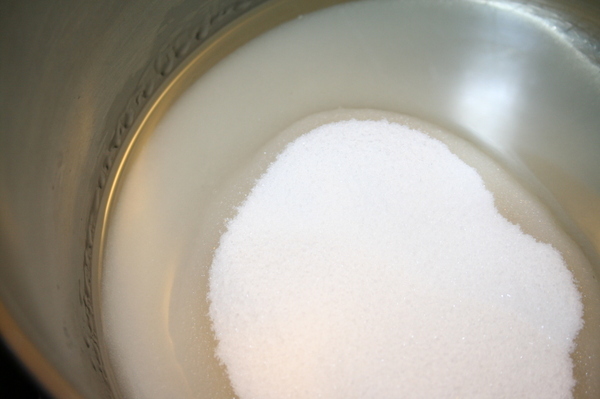 Put the eggs and the remaining third cup of sugar in a medium bowl and whisk until the eggs thicken slightly. 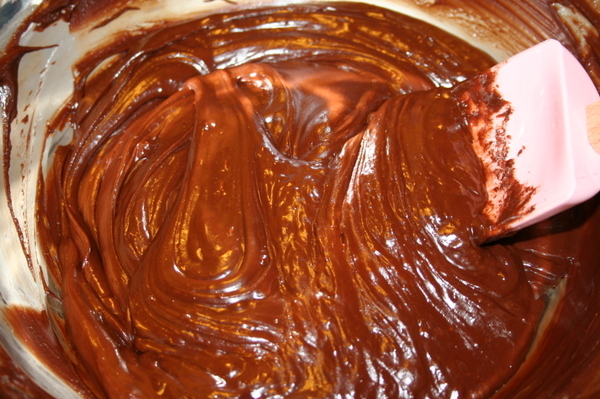 Beating with the whisk, add the eggs (slowly) to the chocolate mixture and whisk until well blended. Gently whisk in the flour. Pour and scrape the batter into the prepared pan, running your spatula over the top to smooth it. 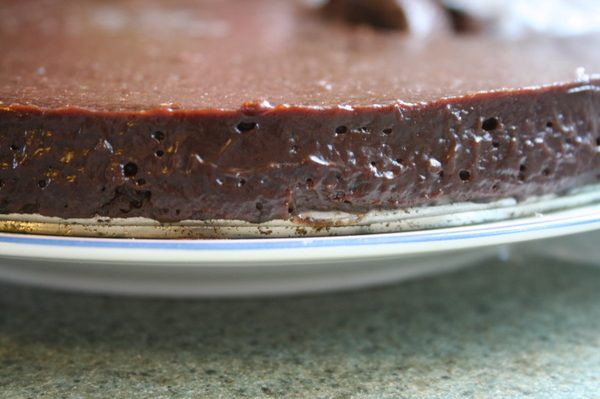 Pour enough hot water into the roasting pan to come about one inch up the sides of the cake pan. Bake the cake for exactly 30 minutes, at which point the top will have a thin, dry crust. 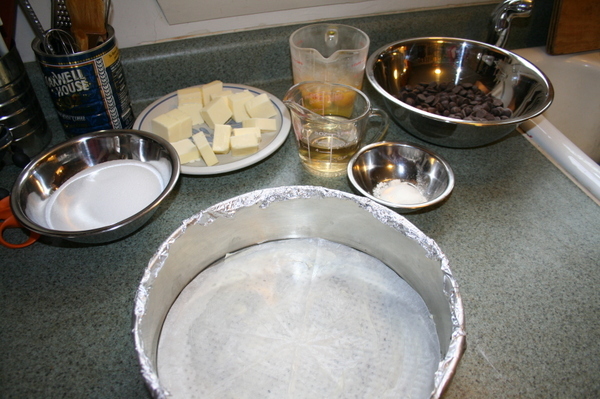 Remove the cake pan from its water bath, wipe the pan dry, and cover the top of the cake with a sheet of plastic wrap. Invert the cake onto a flat plate, peel off the parchment, and quickly but gently invert again onto a serving platter; remove the plastic. Serve cake warm or at room temperature. You can serve with whipped cream...a fruit sauce...whatever appeals to you. Once cooled, the cake can be covered with plastic and kept at room temperature for 1 day or refrigerated for up to 3 days; bring to room temperature before serving. You can also freeze it for up to a month. You can also bake this in an 8 or 9 inch square cake pan, and after it's cooled, chill it until firm, then cut it into 1-inch square bites.